The world's population continues to move towards cities and urban areas. Based on 100 km2 grid squares for the period 1990-2015. 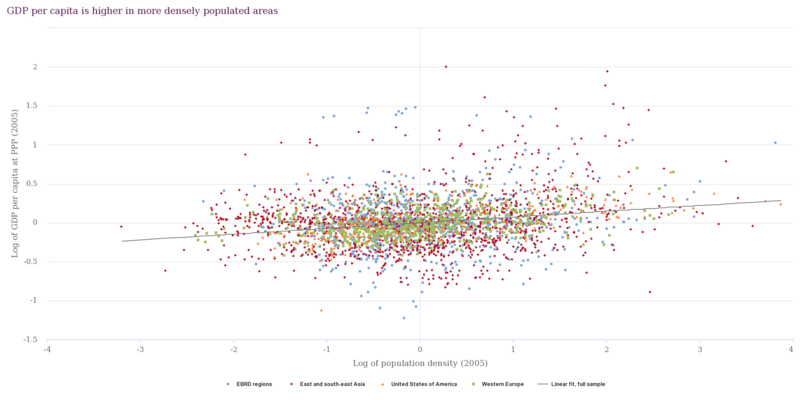 Bar heights convey population changes, with red bars denoting population increases and grey bars indicating decreases. Beige areas without bars are places with population changes of less than 200 people. Each dot represents a 1° by 1° cell in the regions from 2005 data. 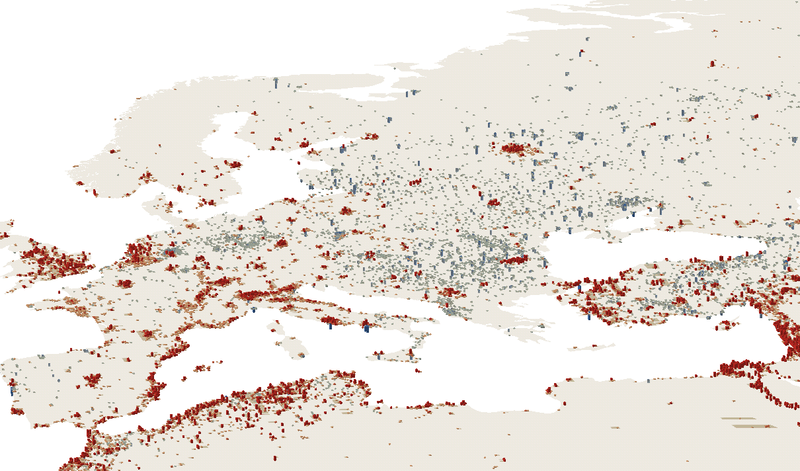 Localised population density is a measure of the number of people living within 5 km of a person, discounted by distance. The unit of change is the number of people in a 5 km radius.